How long have you been part of the BluCru (Month/Year/Duration)? What is your biggest accomplishment at Bluprint? I love being part of the committed club each month! I also accomplished my goal last summer of cutting to below 10% body fat. What keeps you coming back to Bluprint Fitness? More than the results I see in the mirror (which are remarkable), it’s most definitely the sense of community. People are always so excited to see me! I feel happy when I enter the gym and people approach me, call me by my first name and are genuinely excited to hear about my day. What is your favorite thing to do at BP Fitness? I love to run! I also love endurance partner workouts. It’s a lot of fun to motivate each other during an especially challenging workout. What would you tell someone considering joining? BluPrint offers people a fun and health-oriented community to be a part of. People are welcoming and there are athletes of all fitness levels that attend. It’s also a very tidy gym. I enjoy hiking, live music, politics, and reading about sea animals, especially whales! Austin is such a positive energy to have at Bluprint. You’ll most likely find him smiling while crushing an endurance workout or walking around effortlessly on his hands. 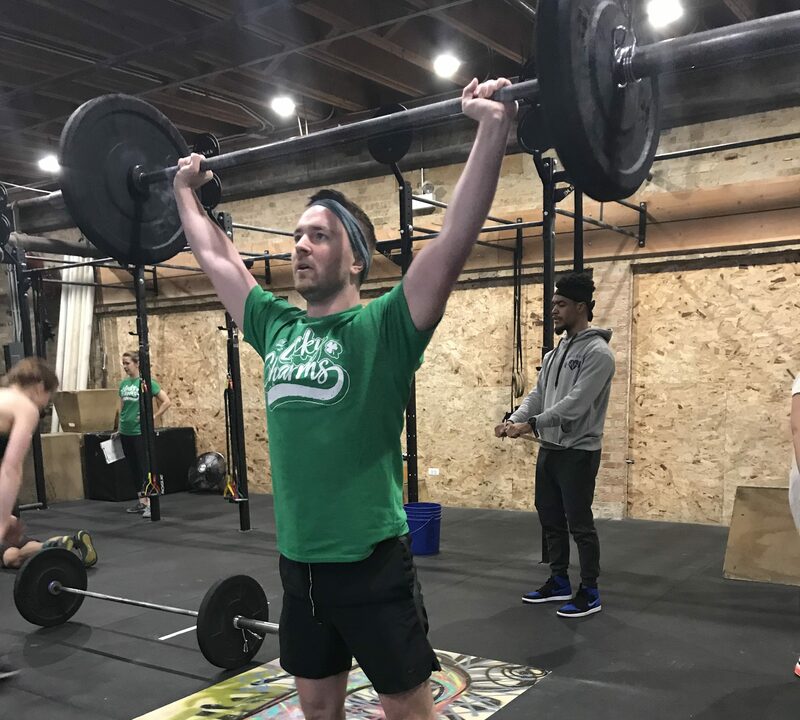 As an active member of the Bluprint Committed Club, he not only spends hours in the gym working on his fitness, but over the past year has put more focus on his nutrition. He does all of this while saving lives <3 We are so lucky to have Austin at the gym! When you see him around, make sure to congratulate him on all his hard work!